It's been high time for Nokia to release a really high-end phone for a while now. The Nokia 8 Sirocco, which is Nokia's current flagship trooper, has been struggling to establish itself as viable competition to the big boys although Nokia is one of the regularly-recommended manufacturers in the entry-level and mid-range space, its lackluster presence in the ultra high-end smartphone segment. 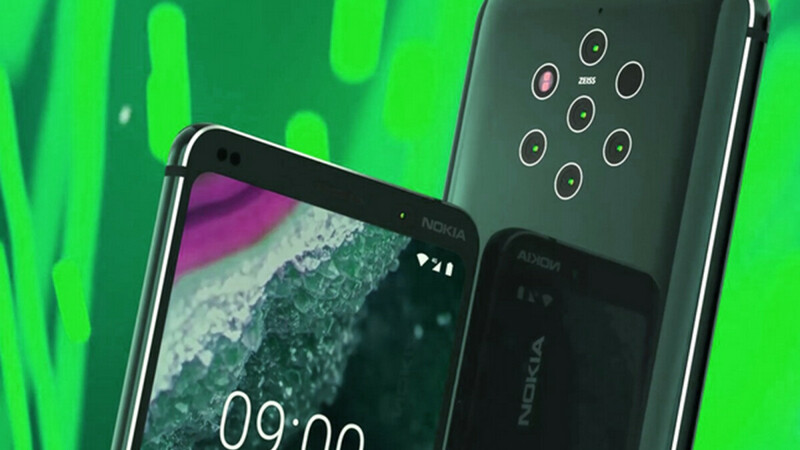 This is very likely to change come MWC'19 later this month as Nokia is set to show us something very intriguing - its long-rumored penta-lens phone, possibly called the Nokia 9 PureView. We've been hearing lots of rumors regarding this secretive gadget, but there's lots of wheat to be weeded out from that chaff. As you can clearly see, the device will most likely come with a more traditional design and won't employ a notch, a punch-hole, or any other trickery to look flashy. This means that the Nokia 9 won't be going for that bezel-less look that has been the endgame goal of many existing and upcoming devices that strive for that all-screen look. Fortunately, this also means that phone purists and traditionalists should find a rather compelling option in the Nokia 9. As a matter of fact, it could be one of the very, very few new devices to still rock the unobstructed old-school design that's slowly dying away. 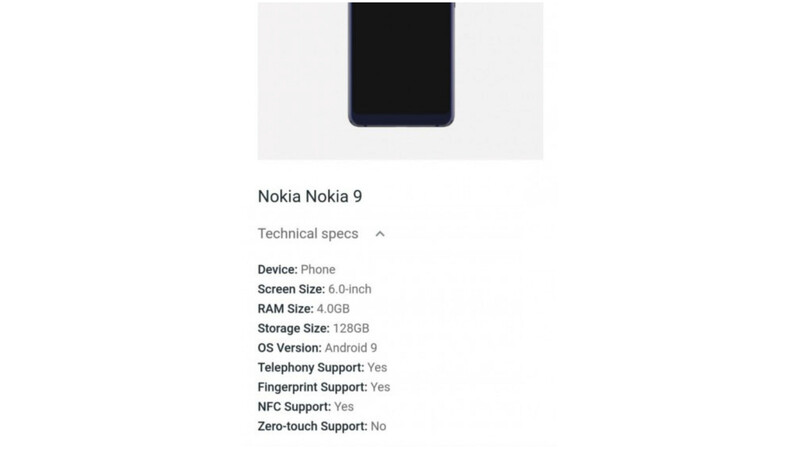 The Nokia 9 is also expected to feature an in-display fingerprint scanner judging from the rather non-chalant depiction of a stylized fingerprint on the phones' display. Of course, nothing is official until it is. Specs-wise, we expect a 5.99-inch display to make an appearance on the Nokia 9. No intel on whether it will be an LCD or an AMOLED panel just yet, but judging from the rest of the high-end specs that the phone is expected to carry, we are likely dealing with an AMOLED panel here. As per one of the leaked materials, the display will be a QHD+ HDR10-compliant one, which is as flagship-grade as it gets. Word on the street is that the full monty might be powered by a Snapdragon 845 chipset, which might sound a bit odd as the Snapdragon 855's full commercial rollout is just around the corner. Still, the Snapdragon 845 is still a perfect adequate chipset and it would make lots of cost-cutting sense for Nokia to utilize the older Qualcomm offering. Still, nothing is official until it is, so stay tuned, Nokia might surprise us and use a Snapdragon 855 chip. Storage-wise, we are likely faced with 6GB of RAM right off the bat, which is a perfectly adequate amount of RAM to have even in 2019. Yes, some flagships these days might be pushing the boundary with either 8 or 10GB of RAM, but most of those are merely doing it for bragging rights. Moving on,128GB of native storage, on the other hand, seems like a safe bet for the Nokia 9's storage endeavors. Who knows, we might even see a microSD card slot here. Data hoarders, cautiously rejoice! By all means, the most appealing aspect of the Nokia 9 will be its camera setup. In a time when phone makers are venturing past the tried-and-proven dual-camera setup with triple- and quad-camera setups, Nokia will up the ante with a Zeiss-branded penta-lens camera system. That's right, there will be five cameras at the rear to trigger your tryphophobia. Judging from a leaked promotional video, each of the cameras will take a shot when you press that trigger, allowing you to later choose between the different shots. Capturing exceptional detail and 10 times more light than usual will be among the goals of the penta-camera system, as well as superb HDR and dynamic refocusing in post-processing. Supposedly, Nokia might have worked closely with another Foxconn partner--Light--in order to develop its penta-lens setup. While this is still in the realm of uncertainties, Light's camera solutions boast unparalleled sharpness and up to 13 stops of dynamic range, which certainly sounds more than promising. Add to these the depth control that only a multi-lens camera can bring, some computational photography chops, and we are getting very excited to see if Nokia would indeed announce a phone with a 5-lens camera at MWC. We will live, and we'll see. As HMD Global revealed recently, we should expect to see the Nokia 9 PureView announced on February 24, just a day before MWC'19 officially kicks in. At the moment, the release date remains unconfirmed but a launch in early March is therefore extremely likely. There's a high possibility that the initial supply will be mainly limited to European markets, but a wider global rollout will take place later on. Speaking of which, it’s claimed that the Nokia 9 PureView will retail at either €749 or €799 depending on the country. In China, rumors peg the Nokia 9's price at the local equivalent of $880. Seems promising. I had Lumia 920 and camera at that time was a beast. Maybe 2019 is a year for Nokia and Sony. But in all fairness the Xperia XZ4 is shaping to be a not particularly impressive device and yet still eats this Nokia for breakfast; nicer design, smaller bezels, newer processor and a camera that sounds just as promising. 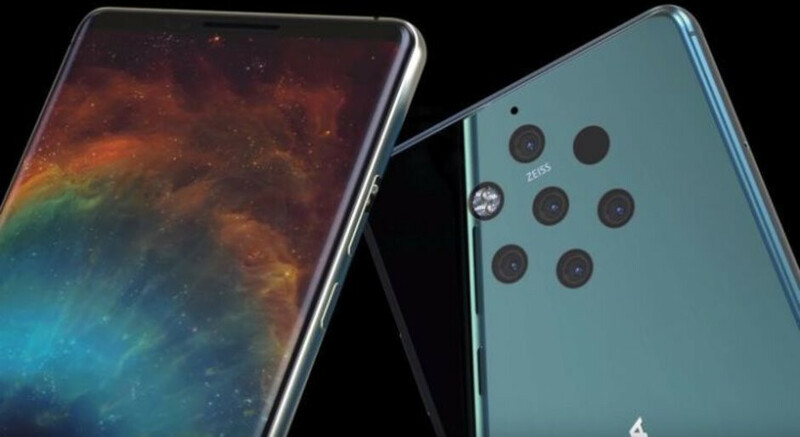 The only thing where the XZ4 may lag behind is the lack of in-display fingerprint scanner, but even this may mean that the traditional side scanner of the XZ4 will work more reliably. Agree but try to tell that to customers. Nowadays either you go bezeless or you risk shutting business down. like you were gonna buy if it was cheaper .. Agreed. Most that are going to complain about that price have no intention of buying the Nokia 9 Pureview, no matter what the price is. He does make a fair point about the $880 price. Comment #6 makes a good point about him not buying it, even if it were cheaper. That doesn't change the point that I was making. You saying that doesn’t change the point that I’m making. Yup, I don't think it's going to survive at that price point. The 6T is going to pretty much going to be the better value overall if you ask me. Honestly, one can't logically say better value until we've seen what the Nokia 9 Pureview is capable of in relation to other smartphones. There are things that the N9PV will have that the 6T doesn't. Let Nokia 9 PureView be the king of camera phones 2019 in the world. Hey, Nokia! Use both optical and digital image stabilization to both rear and front cameras for both taking photos and recording videos! I’m here for it! I have high hopes for the Nokia 9 Pureview as it seems to tick all of the right boxes. The price is not my cup tea, but if HMD nails the imaging and performance like I believe they will, then it will be my hard earned money that’s well spent on this device. Here’s to hoping they knock it way out of the ball park. Cant wait to see the final outcome,it better be Great. They've delayed it multiple times so far. I agree. I believe it will be great. They delayed it to get it right, as opposed to releasing smartphones with half baked hardware and software (Pixels and the Essential Phone immediately come to mind when say this). Is there any reason why the Pixel and the Essential phone were specifically named? I mean I can count multiple smartphones that have been released with issues that sometimes require a day one software update. Even the fantastic 6T had an update or two pushed out during its release window. Is there any reason why you're so offended that I mentioned the Pixels and Essential Phone? I mentioned them to prove my point, btw. Which I did. Because a lot of phones have issues during launch windows. Hell the iPhone has made it a recurring thing, yet you for some reason targeted the Essential phone and the Pixel phones. And? I used the two I mentioned to prove my point, which I successfully did. Stop getting so offended by my comments and stop being so aggressive towards me because of them.